Great work and very professional. Many thanks for a great experience! - Heather R.
It’s so nice to come back to a clean and tidy home. Thank you. - Rebecca W.
Great job. It’s a joy to have you clean for us. - Leslie D.
Maid Brigade of The Piedmont Triad cares about you. With more than 20 years of service, the best equipment to clean and sanitize your home, and friendly staff, our wonderful team is committed to meeting your needs so you can enjoy a clean home—worry free. 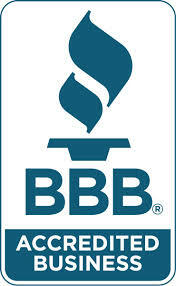 At Maid Brigade of The Piedmont Triad, we take great pride in our business. All maids are screen, professionally trained & certified. Residential cleaning is our specialty at Maid Brigade of the Triad. From kitchens to bathrooms, floor to ceiling, we have your cleaning needs covered. With a focus on outstanding service, consistency, and trust, our maids are experienced, highly trained, and fully bonded and insured with adequate liability and bonding insurance and workers’ compensation. Our high quality cleaning services are available from Clemmons to Kernersvile, Walkertown to Winston-Salem, serving Forsyth, Davidson, Guilford, and Randolph counties. Contact us at (336) 221-3126 for a free estimate or to speak with our client care representatives and check cleaning off your to-do list today. Areas served include Winston-Salem • High Point • Greensboro • Advance • Belews Creek • Clemmons • Kernersville • Walkertown • Coffax • Jamestown • Oak Ridge • Summerfield • and Thomasville.